After a failed hitch hiking attempt from Arembepe, Monika and I bought the last two seats on a late bus to Lencois. 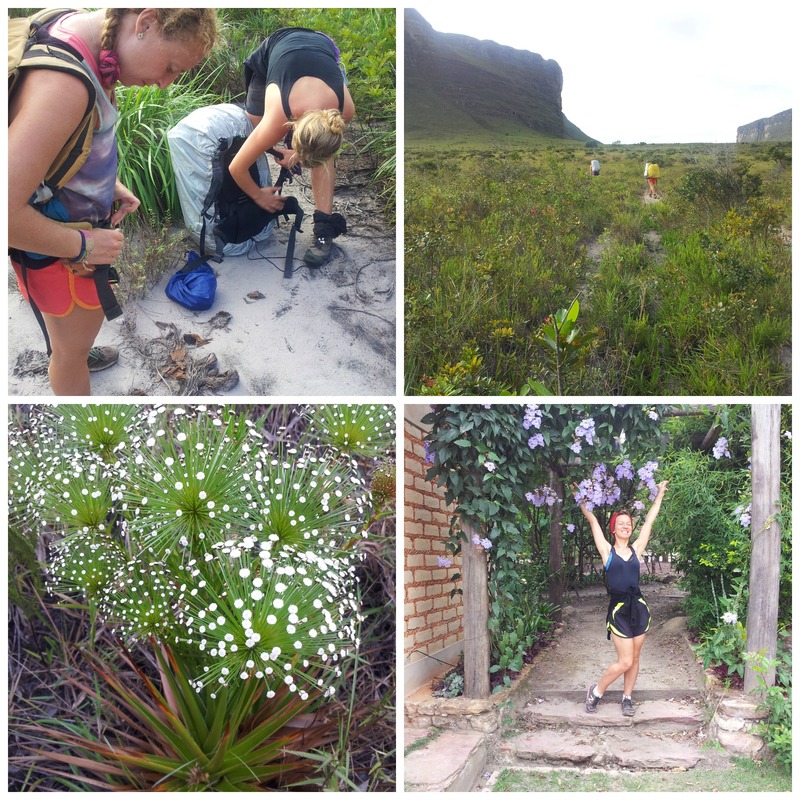 We were on a mission to get to the big green spaces of Chapada Diamantina, one of Brasil’s national parks. Feeling gun-ho and on very low budgets we were heading out into the night on this seven hour journey with no accommodation arranged for our arrival. Well, in this climate, a park bench could always be an option. In spite of our gaul, we began chatting to Samuel, our neighbour on the bus who promptly offered us a place to stay. 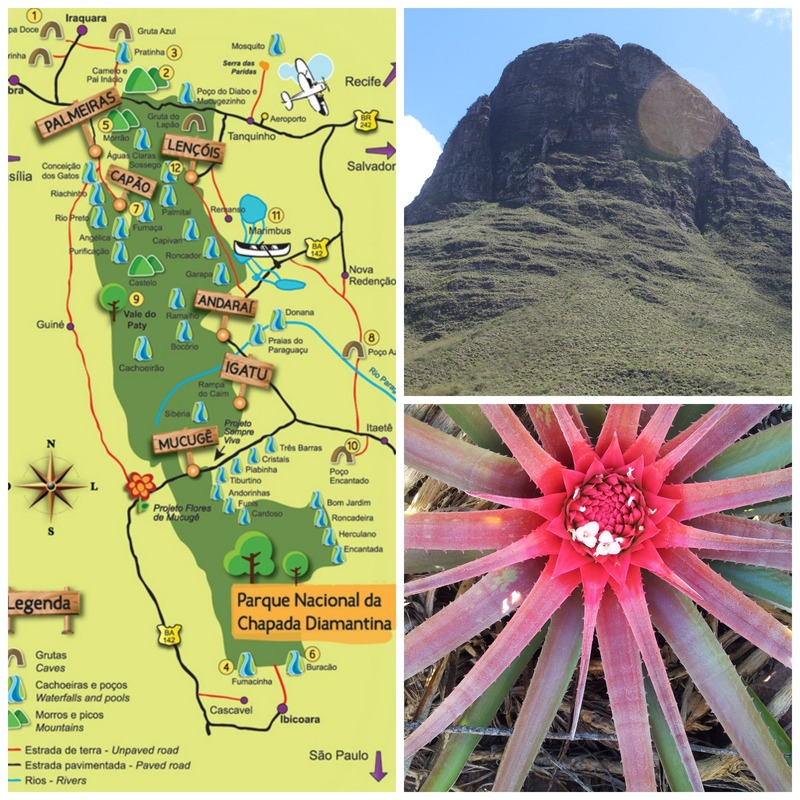 ‘Diamantina’ refers to diamond mining here during the mid 19th century – One of many Morros – Jungle cactus family flora. …..Sam turned out to be the most amazing and wonderful person! We alighted with him in Palmerias – a sleepy town, exactly like that from a classic Western film. He fired up his safari style Land Rover Defender and the three of us went speeding off. —–As fast as you can along the very bumpy red dirt track—- into the starry night to Capao. A Brasilian one horse town with buildings dating from the late 1800s. I kept imagining life back then…how the locals might’ve have dressed, exchanged daily conversation, slang, gossip, comings and goings…. 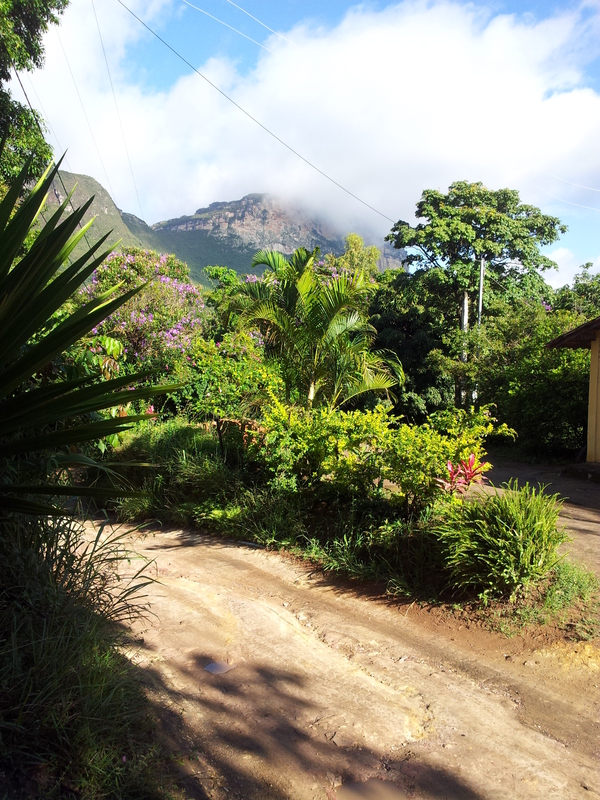 The next morning we awoke cradled in Sam’s jungle dwelling surrounded by bush and mountains. The smell of locally grown coffee, pina fruit and warm buttered ‘integral’ bread rolls wafted up to our mezzanine level. Sam sleeps in a big hammock on the ground floor. 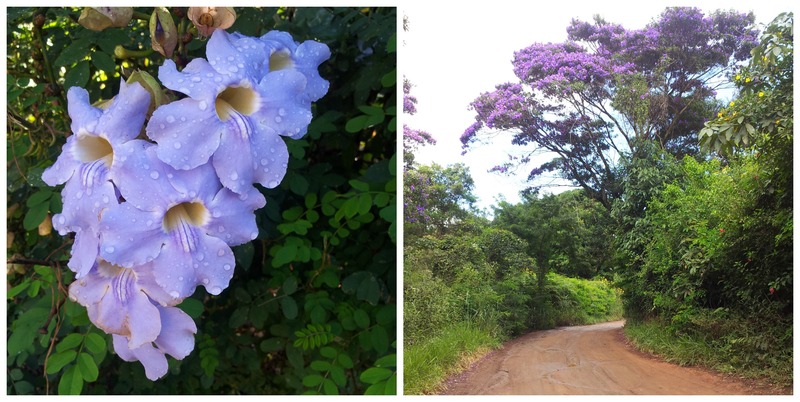 After ‘café do manha’ we ventured through the labyrintine tracks, lined with abundant green foliage and hibiscus flowers to a nearby waterfall. We swan starkers, dozed in the sunshine and drank from the fast flowing streams we passed…. All of this following a previous day of sketchy plans and a chance meeting. Hurrah for Magic! Serendipity/ Coincidence/ Intuition/ Care-less-free-ness! Over the two weeks that followed Monika and I had the most idyllic time getting to know Capao: a very small town with an alternative vibrant community of families, a local circus, lots of vegetarian food, random horses in the street. 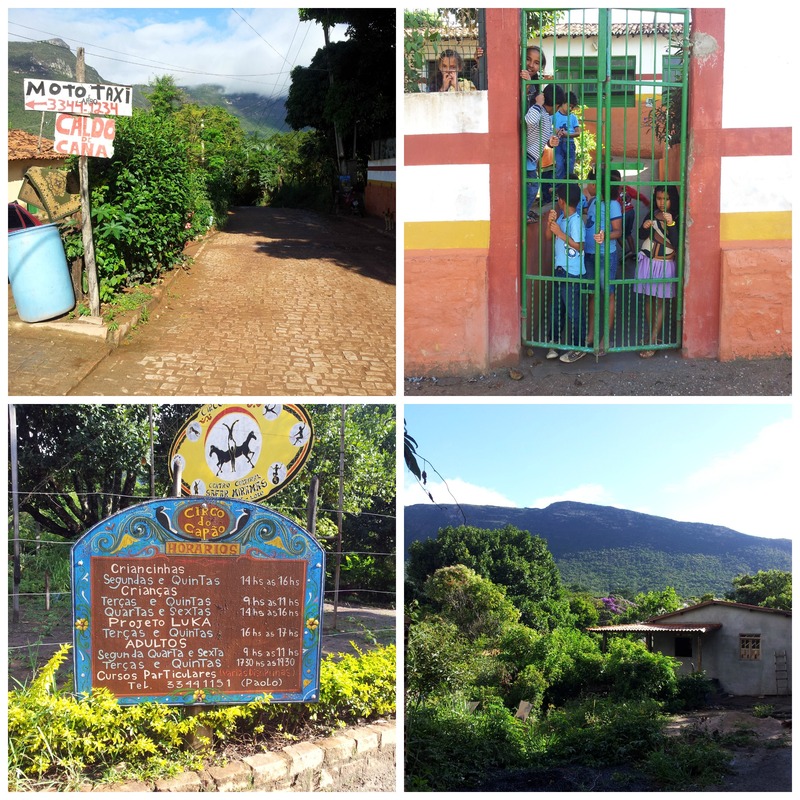 The local Moto Taxi point, school gates and circus. ‘Criancinhas’ = Small children. 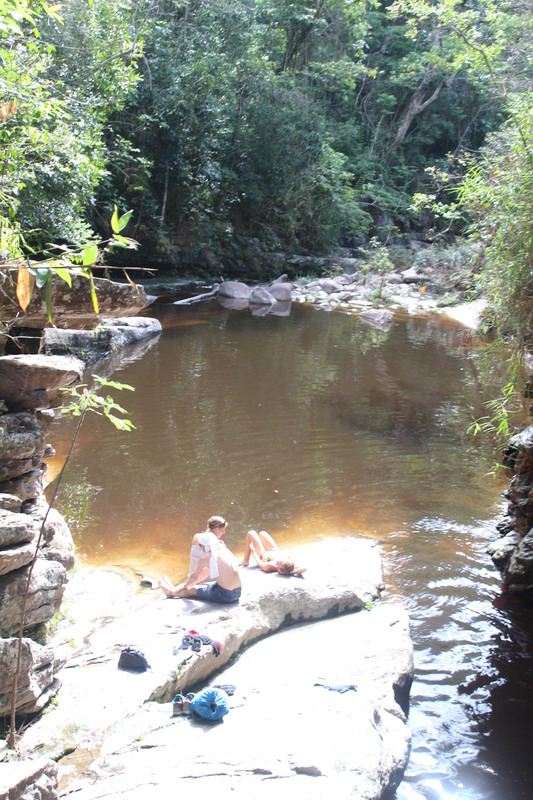 This is trekking territory and most days we had a destination cashoeira (waterfall) in mind. 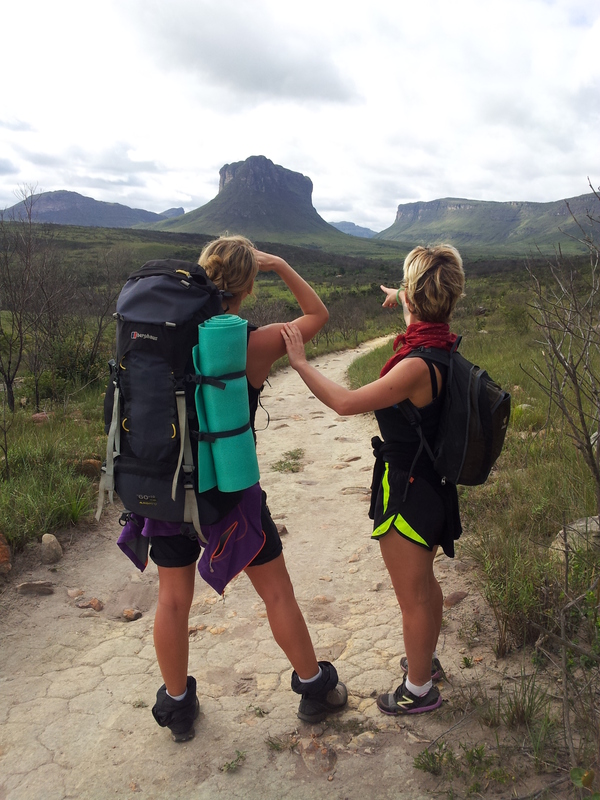 We got to know Steffa, another solo backpacker from Hawaii. The three of us went camping out into the wilderness. 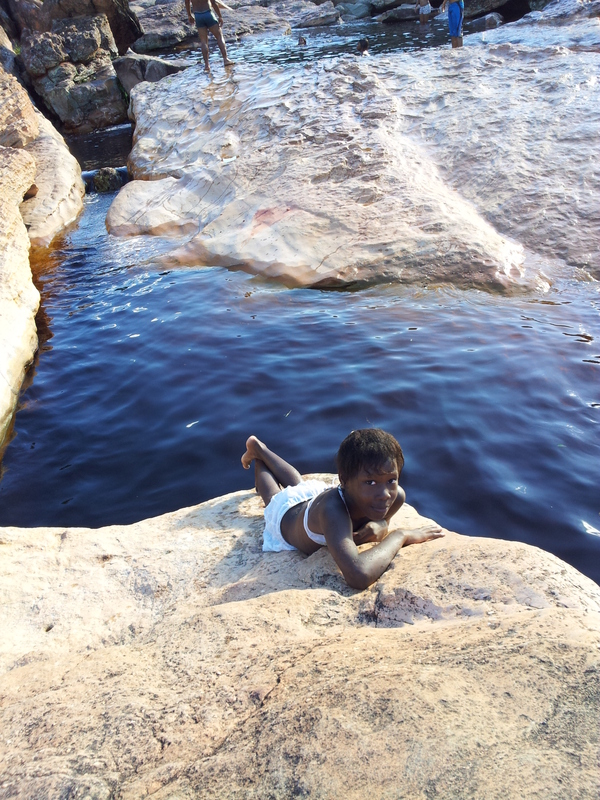 “Red dirt tracks, motorbikes, trucks, dust clouds….turned into insects, cicadas, wild flora, cactus, pink rock, sloping green hills and mountains. We reach Aguas Claras and pitch up. Enormous bats come out at night where we camp; the sound of frogs calling to each other throughout the night is like a relentless and eventually relaxing car alarm. Steffa, Monika and I, some big country to explore and ‘Space flowers’ with white bobble blossom, very sci-fi to us and once endangered. “I wonder how many other feet have trodden on these boulders, stones, wedged their fore feet into the nooks between plants and rocks? Small universes exist at every level, nestled into the mountainside. Like a favela and skyscraper of nature. Spiderwebs span space between rocks: imagine being a spider living here – looking out each morning on this panorama?! 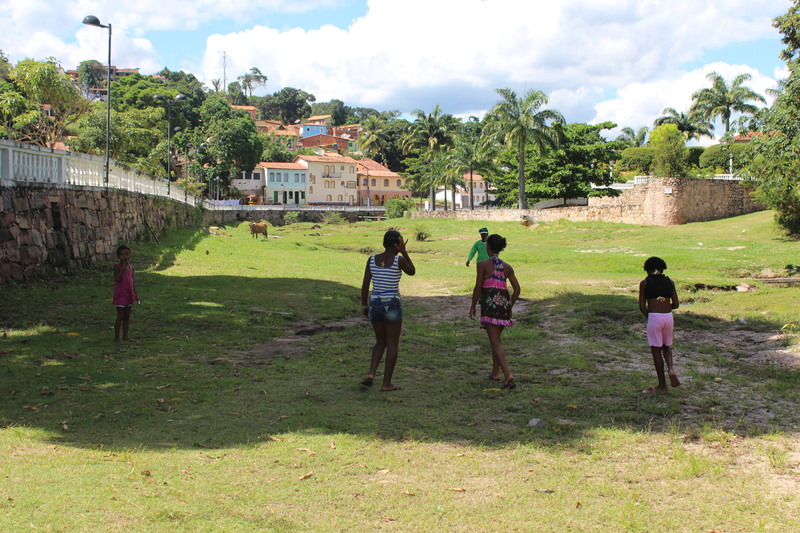 Gringas/ Hobbits on the uncertain path to Mordor….er-hum!…I mean: Morro Tabor. “As we reach the top the terrain flattens. 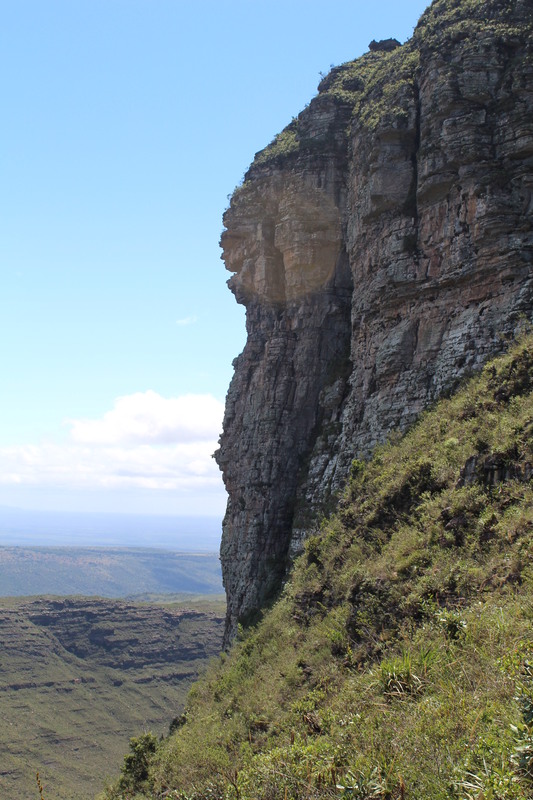 ‘chapada’=plateau: a wonderful Eden up here! Lots of tropical plants, like a garden, lush and green but succulent-like too, prickily. I ponder —–these plants have all been born here and reproduce, -up here-, away from the towns and cities, away from people…..growing, evolving, with their insect companions….this world, one that doesn’t need the help or attention of anyone or anything…..enjoying and feeding from the daily sunshine, rain, wind…..
Half way up the magnificent Morro Tabor. As big hilly lumps fare this one was a beauty. 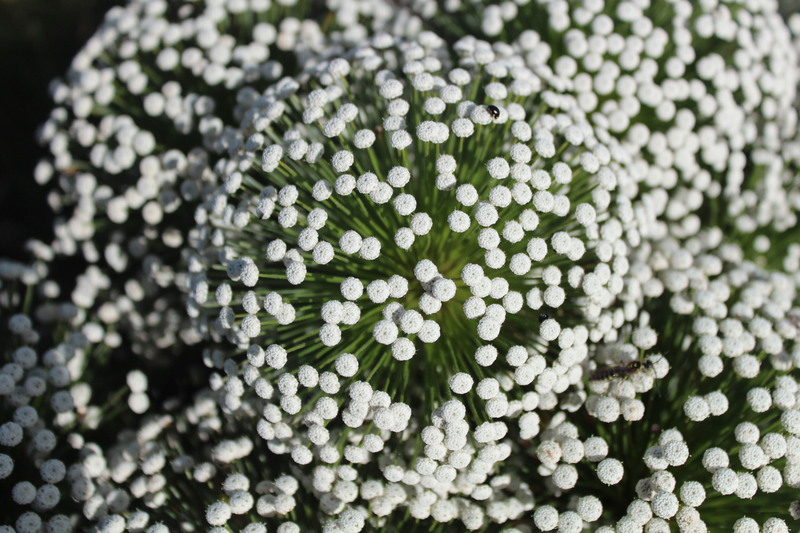 A Space flower up close! 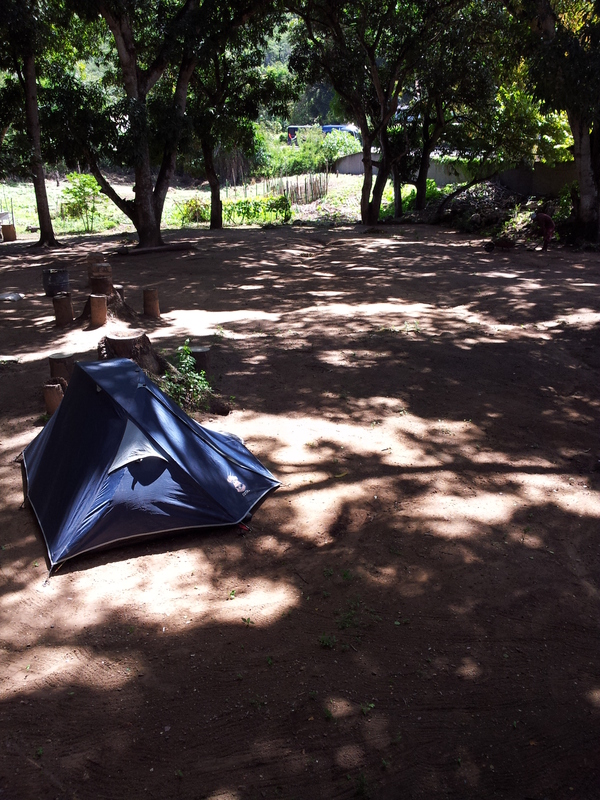 Monika and I camped in a mango orchard in Lencois over a long weekend. This sounds quite charming but mango trees are vast in size and the swollen fruit would fall at random from branches on high with a loud *thunk! * on the ground. We both escaped ‘death by mango’ unscathed. The town was gorgeous. Small enough to be relaxing and big enough to have a buzz of activity. 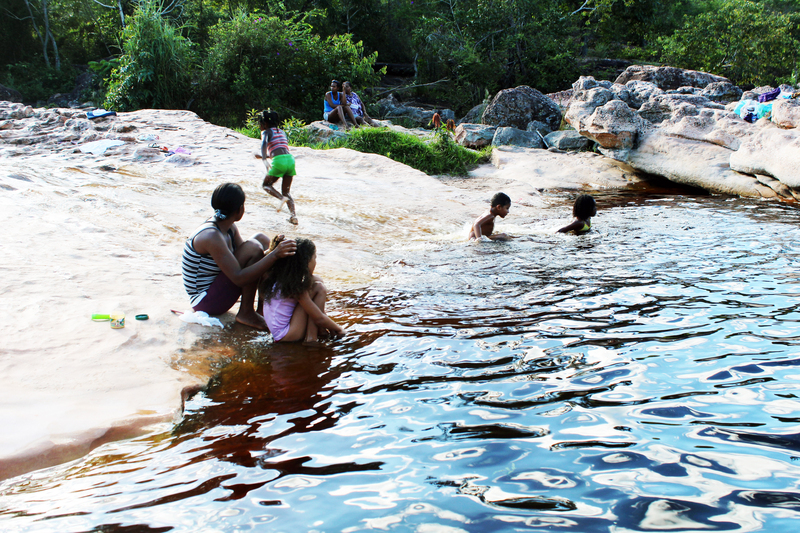 Old buildings, cobbled streets – unassuming – humble – the gateway to more of Chapadaaaaaaaa. Home in a Mango Orchard.
. Banks of the river, Lencois. 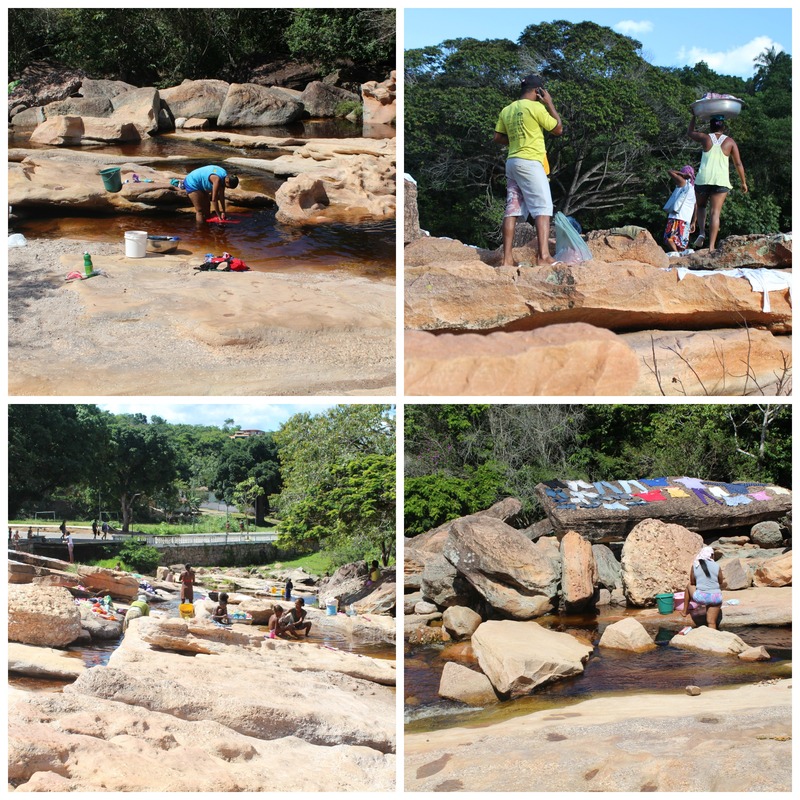 “Went for a hike to a waterfall and got waylaid in a kind of heaven: a lunar landscape of pink rock and several rock pools of orange water. 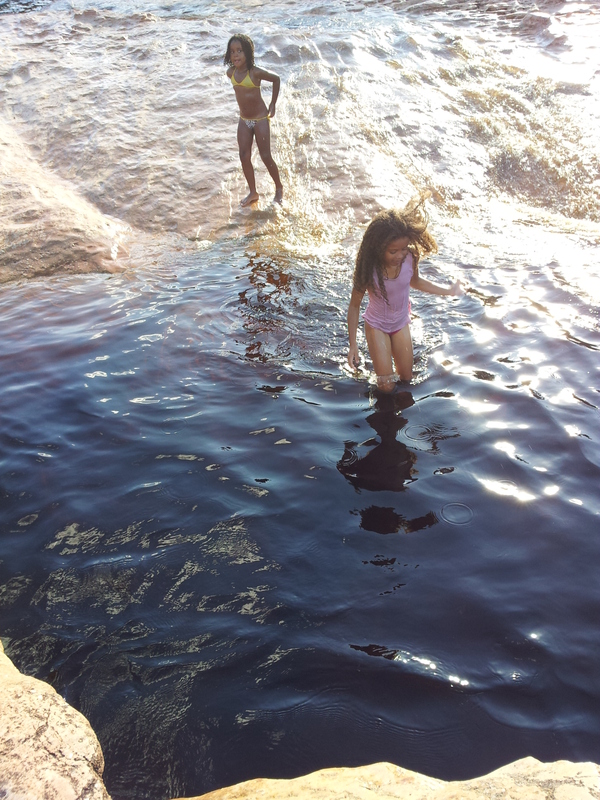 The water is apparently full of iron hence the colour. 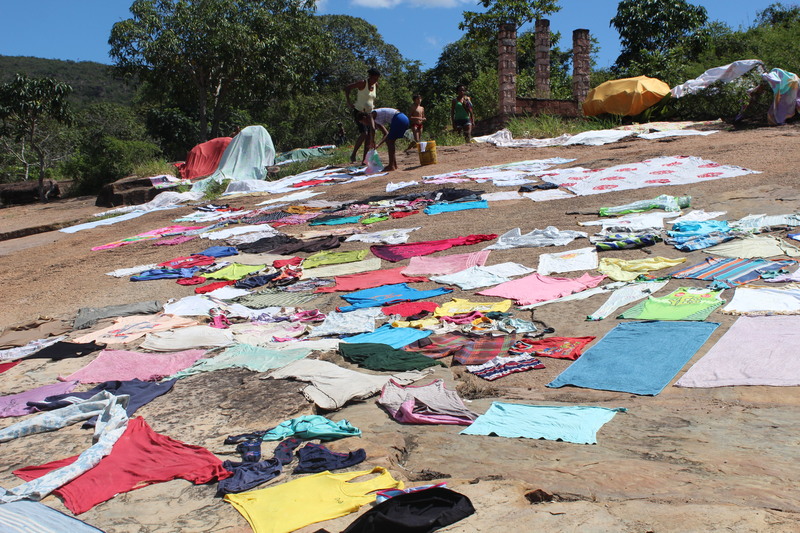 Laundry day by the river. These women had no idea how pretty the results of their labour looked to us. 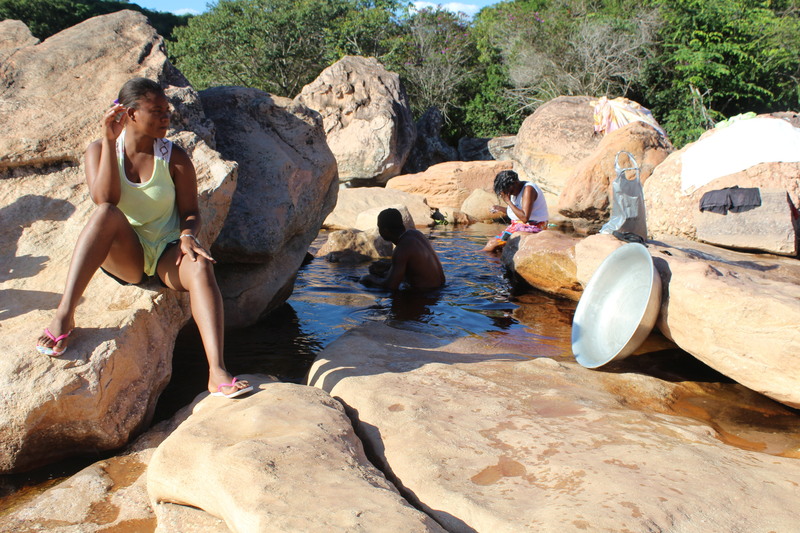 “Such a relaxed intimate place, we decide to stay and wallow too. This the best playground ever. “A young girl has her hair combed, washed, groomed, tugged,…she sits there frowning. Babies are dunked, rubbed and rinsed. This is a kind of Eden. An effortless paraiso. Daily routines/chores/tasks are carried out here. To the locals this is not a big deal, but to me this is a special place. Dogs are washed, soaped up and rinsed. Held still so they don’t run dirty soap suds all over the clean laundry. They rub their heads against the stone afterwards, to find a new natural scent. Large reptilian spiders cling spread eagle on the edge of the rock near the water’s edge, soaking up the sun’s warmth – recharging, like eight legged batteries. They are pink brown in colour, well evolved in this landscape – gecko-like with a furry brown body; their black eyes glisten like caviar baubles, *alert* . I am fascinated. Earlier in the day we see two bright green parrots calling as they chase across the sky. They are a happy surprise to us. There is beauty everywhere. 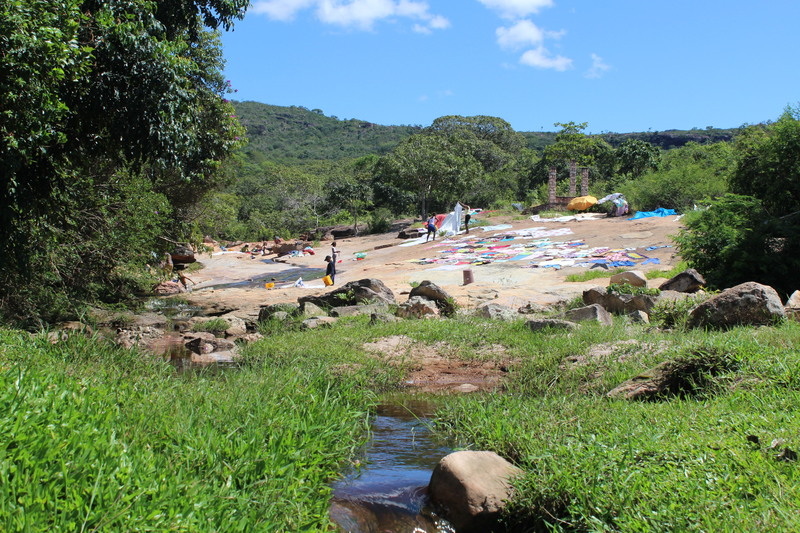 This entry was posted in Anthropology, slideshow, Travel, Wide Open Spaces and tagged Bahia, Brazil, Carefree, Chapada Diamantina, Communities, Freedom, Fun, Getting Lost, history, Memory, Nature, Play, Roaming, Space, Traditional, Trekking. Bookmark the permalink.